Discussion in 'Chaos Space Marines' started by NostramoBorn, Oct 19, 2013. Where are my fellow astartes of the VIII? With whom will I fight with blade and bolter? Where shall I stand with my claw-kin? Gather around, my fellow comrades. We are of the sunless world. and we have come for you. Let's see if we can make this the Night Lord mega-hub. Join us in our steam group! We will be playing whenever closed, or open beta hits! Jorimel, Thurservorr, ArtoriasoftheAbyss and 10 others like this. Sevren, LawdBabySpaceJezus, DocButcher and 7 others like this. You have never stood in the Emperor’s light. Never worn the Imperial eagle. And you never will. You shall stand in midnight clad, your claws forever red with the lifeblood of my father’s failed empire, warring through the centuries as the talons of a murdered god. Rise, my sons, and take your wrath across the stars, in my name. In my memory. Rise, my Night Lords. Jorimel, FrankZeeTank25, DocButcher and 9 others like this. My sons, the galaxy is burning. We all bear witness to a final truth - our way is not the way of the Imperium. You have never stood in the Emperor's light. Never worn the Imperial eagle. Warring through the centuries as the talons of a murdered god. 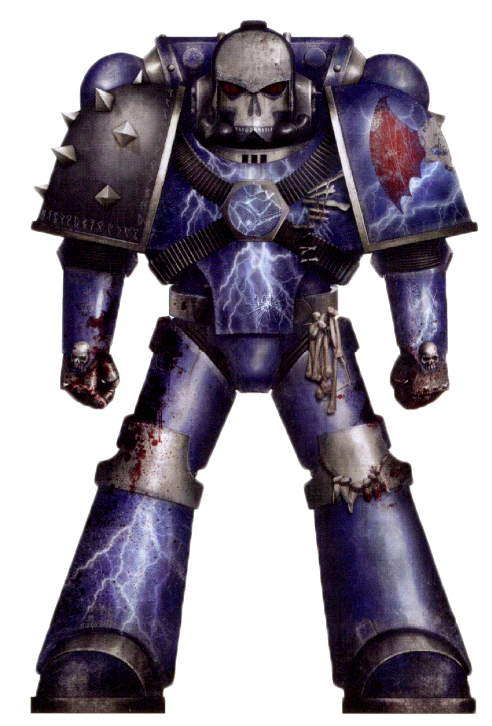 Eternal Crusade sure as hell better include a Night Lords skin. While forgoing the bat ears. The Pre Heresy armor looked better. And didn't look ridiculous. Also, anyone else hoping for Fourth Ed Raptors? 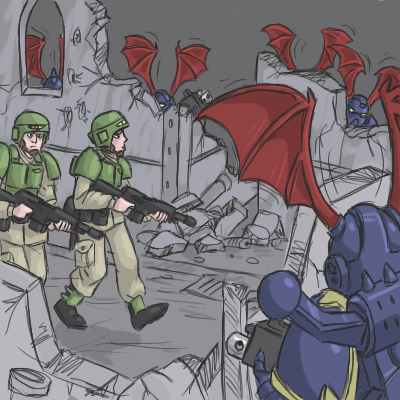 Well actually , pre heresy armor without sigils e.t.c but terror squads always where forging bat ears , spines. e.t.c even before heresy . King_Geedorah and Simo Hayha like this. Except they shouldn't even have the wings, considering the actual lore of the Night Lords is that they're pretty much pirates and salvage everything. The actual art commissioned by Aaron Dembski Bowden is completely devoid of the stupid wings. Simo Hayha, Bjorn Hardrada and ThisHermitGuy like this. cman, Simo Hayha, Whiskey and 1 other person like this. Do I smell Warp Talons? ThymosTheUnbroken, Simo Hayha, Whiskey and 2 others like this. The galaxy is burning my sons, Rise, my sons, and take your wrath across the stars, in my name. In my memory. Rise, my Night Lords. Stir within their hearts the gift of truest terror, and all their plans are ruined in the desperate struggle merely to survive. The_Betrayer, Simo Hayha and Hive Tyrant like this.